combined with exceptional casting distance ability. 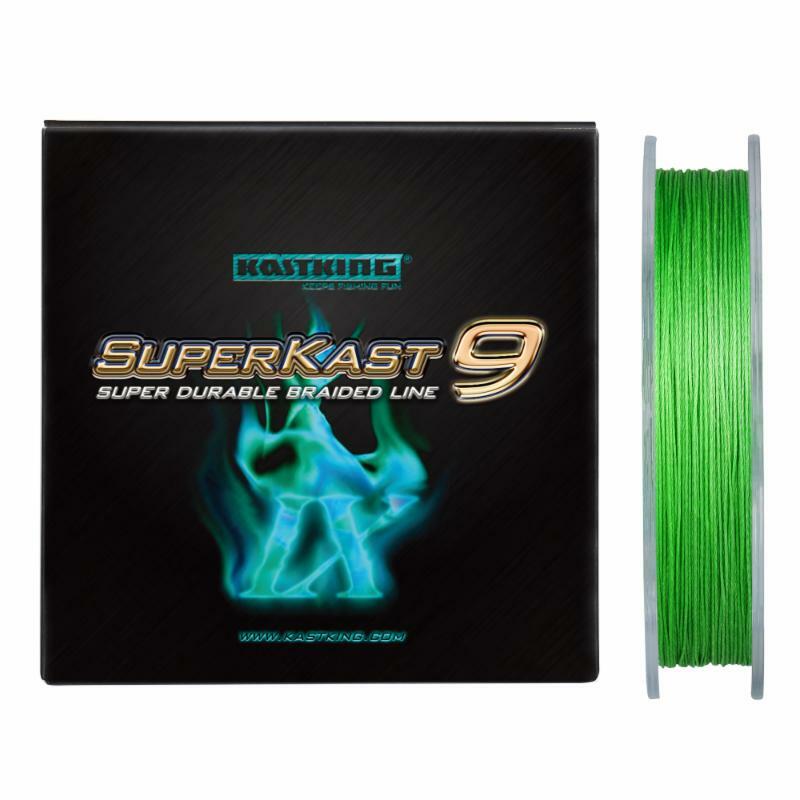 KastKing’s SuperKast9 features nine-strands of new technology specific ultra-high molecular weight polyethylene MultiTuf fibers specially wrapped and reverse wound to eliminate gaps between the wraps. 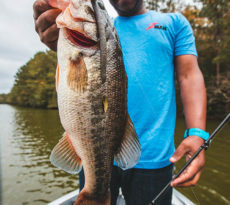 The new formula and process makes SuperKast9 rounder with a smoother finish, resulting in less friction through the fishing rod guides than other braided fishing lines. “SuperPower braid line launched the KastKing brand four years ago to a new level and set a new standard. We see SuperKast9 as part of the next stage of development for KastKing,” says KastKing’s marketing director, Tom Gahan. 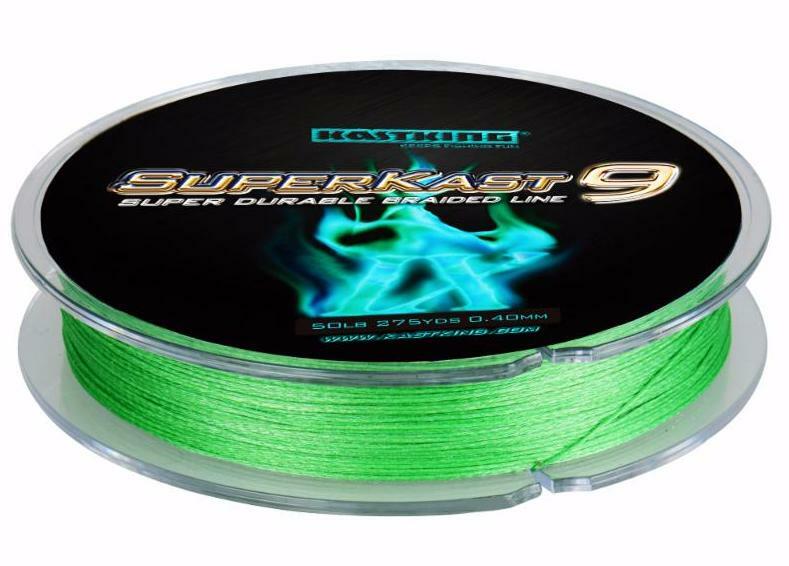 “If anglers liked our original KastKing SuperPower, or any of our three other now popular braid fishing lines, Mega8, MaxThin8, or Fortis braid line; they will love SuperKast9. 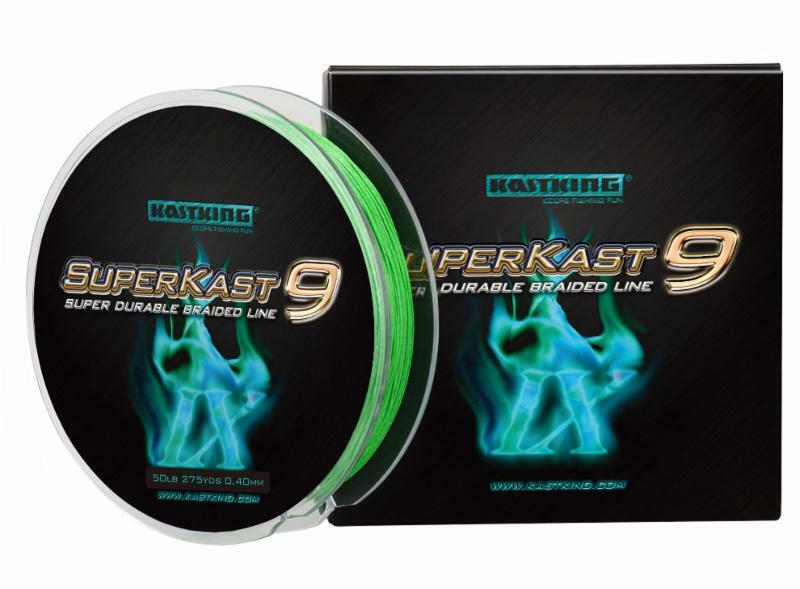 KastKing SuperKast9 will initially be available in 20, 30, 40, and 50 pound test strengths on 300 yard / 275 meter spools in fresh grass green. Other pound test and colors will be released at a later date. KastKing Angler Consultant Darcy Hill in Charleston, South Carolina says, “SuperKast9 nine-strand braid fishing line by KastKing is exceptional. 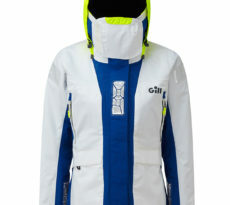 It will quickly find its way onto the fishing tackle of surf casters and bass anglers casting for distance, as well as pier fishermen and others who fish around rugged structure. Its silkiness seems to let it glide over hard structure, like oyster beds for example, without breakoffs; similar to the way it easily slips through rod guides. 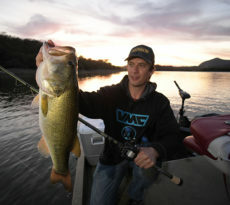 “I made the move to KastKing braid line a few years ago and have never looked back. I’ve watch the brand’s evolution. 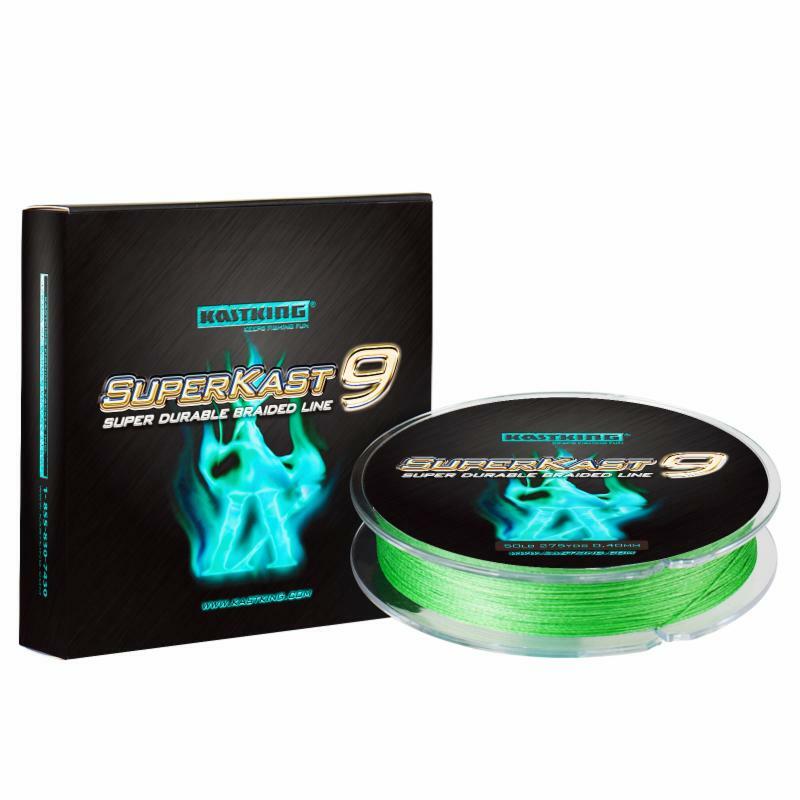 SuperKast9 brings braided fishing line to a whole new level. We will have SuperKast9 at ICAST (International Convention of Allied Sportfishing Trades) this summer, but it will be publicly available online at www.Amazon.com and several other top online sellers before the end of March 2017.” KastKing is an ICAST award-winning brand. KastKing SuperKast9 braided line carries an in-store MSRP of $35.98 per 300 yard spool and an online discount price of $24.98.